Lilly is a real sweetheart. 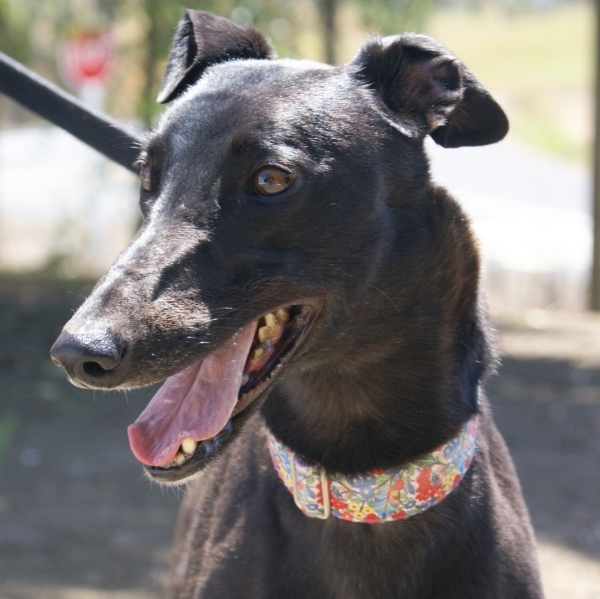 She is very social and loves to play with all the other dogs, greyhounds and other breeds. She is both playful and affectionate. Lilly is well used to home life and has lived with another greyhound. She has great manners and is lovely with other dogs.